Often we jump into intention or goal setting with out taking pause to center in and shift our listening from our head to our heart. Each month you can see the Moon make her way around the Earth, reminding you of the natural cycles of ebb and flow, expression and rest. During a New Moon the Sun and the Moon are conjunct in the night sky. This is one of the most powerful times in the 29 day cycle. The energies of one zodiac sign is influencing and highlighting specific aspects of your inner and outer world simultaneously. 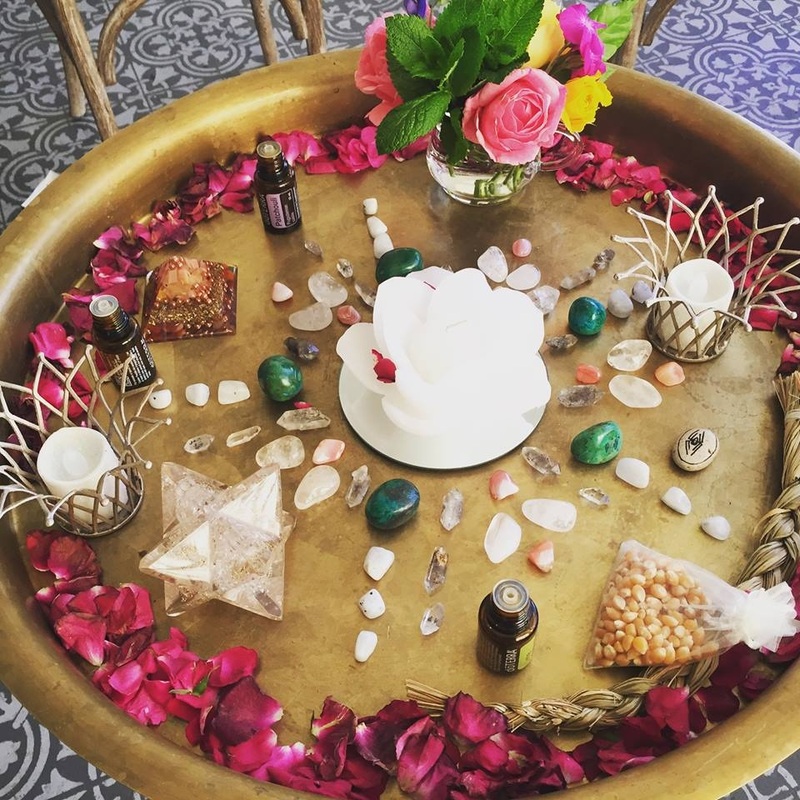 In ritual you will harness and leverage a double dose of these energies of the cosmos to create and set intentions to design the life you desire. This month experience something special and new! An energetic clearing to lift the densities of the world and anything that is not a divine match. Learn about New Moon energies. A powerful combination of essential oils to amplify your intention and remind you where you are steering. Time to reflect and listen in to your inner wisdom. Replenishing energies; Enter a high vibe and nourishing space created for you. Sound healing and sacred space.